Planning Our Toronto Wedding - Photos + What I Learned | La Petite Noob | A Toronto-Based Fashion and Lifestyle Blog. Mother nature is currently dumping a whopping 10-15 cm of snow on the city of Toronto and I'm spending the snowy day warm at home, with a cup of hot coffee and looking through old photos - particularly my wedding photos. 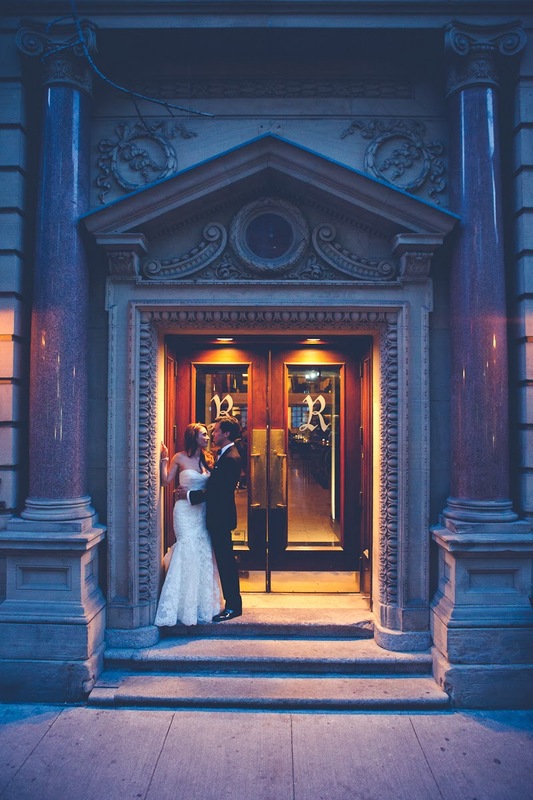 My husband and I were married this past August in the city of Toronto and the day could not have been more wonderful. The planning process, however, was another story - lots of laughter, some tears, a lot of frustration and more gin and tonics than I care to mention. 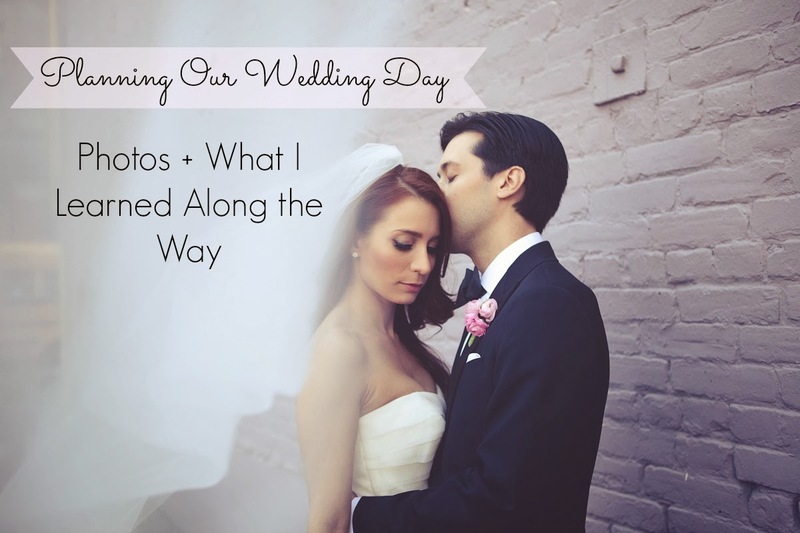 Read on as I share some of my favourite photos, and some important lessons I learned along the way while planning our wedding day. Stop Second Guessing your Decisions. Throughout the wedding planning process, we are our own worst enemies. With so many choices on the market, it becomes difficult to make a decision and worse: stick to a decision once it is made. One of the best things that I did while planning my own wedding was to remove any temptation to second guess as I was making decisions and booking vendors. Found and booked an amazing venue? Great, now don't look at any other venues online. Purchased a beautiful wedding dress? 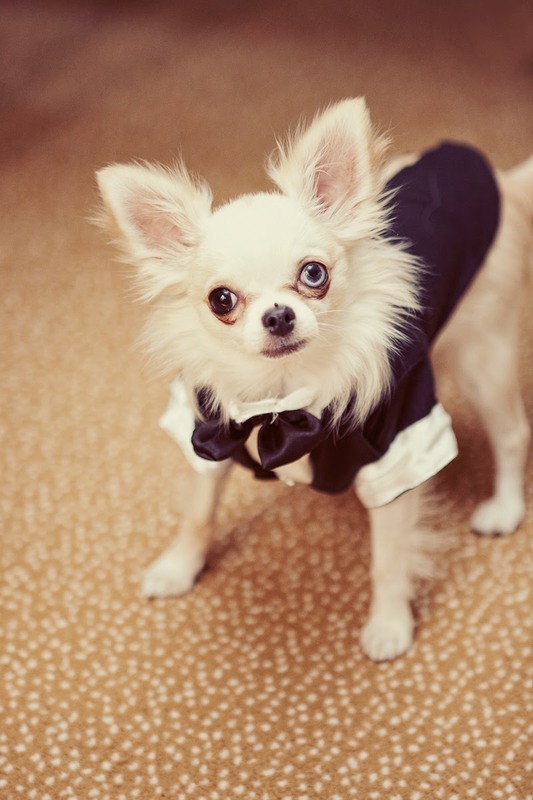 Fantastic, now go ahead and delete your Pinterest board devoted to wedding dresses. There will always be bigger and better out there, you just need to know within yourself that the choice you make is the best choice for you. ...that is, unless you know a specific vendor is holding a wedding show special (and even then, e-mail in advance to see if they would honour the show price). I found that the big, convention centre bridal shows to be completely overwhelming, jammed with people and chaotic. It was nearly impossible to develop a relationship with any potential vendors when you have five other brides-to-be, plus entourage, trying to elbow their way into your space. The few times I went to one of these big-box shows I was left irritated, nauseous from too many wedding cake samples, and with my e-mail address being circulated to every different wedding related newsletter in the city. I would recommend a more intimate show to vendor source. Call your list of potential venues and see if they host any open houses, or check around to see if there are any smaller shows in your area (usually held at night, and a little pricier, but worth it.) Whatever the alternative you chose to take, just say no to the big wedding shows - your sanity thanks you. Take a Pinterest Hiatus One Month Prior to your Wedding Day. Pinterest is a wonderful resource for wedding planning, as a way to develop a vision and find helpful tutorials to execute it - fast forward to a month away from your wedding date and Pinterest becomes the anxiety ridden bride-to-be's worst nightmare. A month prior to your wedding, most if not all of your major decisions will have been made and planned and just need to be executed - it is not the time to be starting any new DIY or revamping your vision because you saw the most perfect pin and just have to do it. Taking on new projects and changeing visions one month prior to your wedding day is putting way too much pressure on yourself, so resist the temptation to do so by taking a Pinterest vacay. There will be enough to do as it is, without adding to the list - trust me. I am so glad that we chose to take engagement photos prior to our wedding day. Not only do we have beautiful, professional photos of ourselves but it also really helped our communication with our photographer on the day of our wedding - saving time and resulting in beautiful, natural wedding photos. I found that, because we had already done photos with our photographer, we were much more comfortable behind the camera - and just got what poses she was after, without her having to go into detail with explanations. Engagement photos are also a great tool in your wedding planning if you take them them early enough - I ended up using our images on our wedding website, save the dates and wedding invitations. **Tip - ask your photographer to take a headshot during the engagement shoot- I still use mine for my professional portfolio and Linkedin profile. Take a Deep Breath, Relax and Remember to Smile. Regardless of the stage you're at during the wedding process, things may not go according to plan. The fact that I came to realize was that these little hurdles would happen regardless of how stressed or relaxed I was towards the situation - so why not choose to be relaxed. The wedding process can be trying, but it only comes around once. Learn to pick your battles, don't sweat the small stuff, treat yourself along the way and above all- smile. Before you know it, it will all be over so enjoy the ride and in a difficult situation just think about what a great story it will make someday. * Disclaimer - all images taken and copy written to Rachelle Rousseau Photography. View the entire wedding blog post here. I am so glad PInterest wasn't huge when I got married! I was a rather hands off bride-- and as a result I was also rather stress free (at least from a planning end! 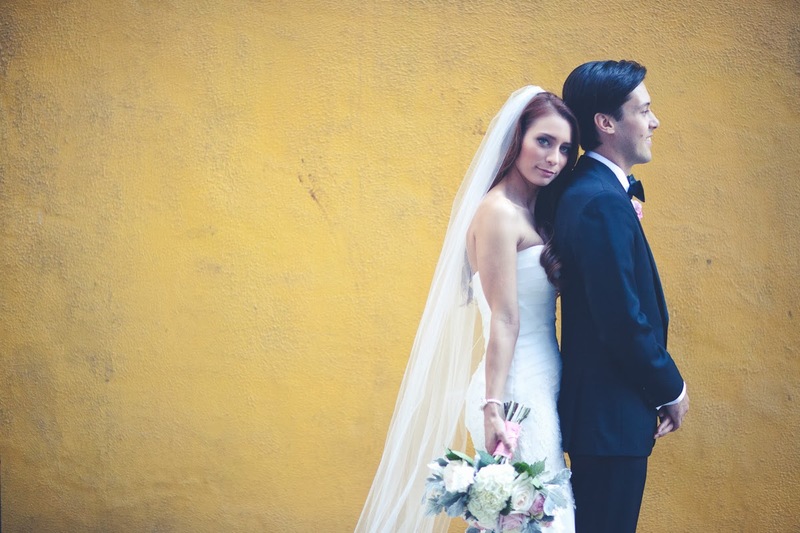 )… my wedding was beautiful, surprising, and most of all about my husband and I--- just as it should be!! You look gorgeous and these are excellent tips for brides!! You were lucky! I found pinterest to be more of a curse than a blessing during the wedding planning process, and have since deleted anything wedding related from my boards! Haha 4 months was about when my freak-out mentality started to bubble. Thanks for reading! Your wedding and engagement photos are stunning! If you don't mind me asking, where was that field of flowers from your engagement shoot? I live in the same area and would love to see it in the summer! Honestly, we were in so many different locations that day that I couldn't tell you! Give our photographer Rachelle Rousseau a shout - she is the best at location scouting! Wow, it's awesome! You guys are going to have the coolest wedding! Nice photo shoot!! All these wedding tips are very informative and helpful. Hey, Can you please tell me something about your wedding photographer? Actually, I am seeking a professional photographer for my vow renewal and I like the work of this photographer. Wedding planners really helped to make the wedding feel more real to me. I know that in my opinion, it was hard to visualize how everything was supposed to happen. 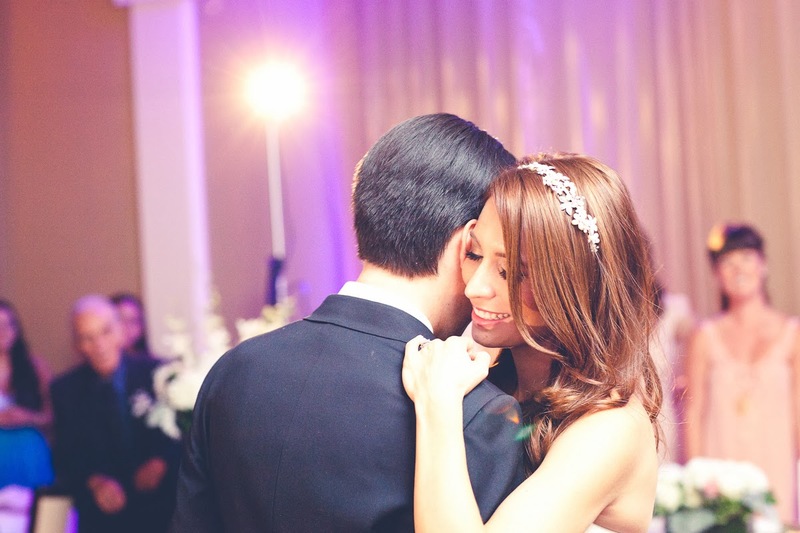 Having someone who coordinated and made sure everything came together really helped.